Founded in 1959, Sacred Heart of Jesus School in Norco has spent over 50 years educating the youth of the community, preparing them for high school and their lives beyond. The school provides a quality traditional Catholic education. Sacred Heart welcomes students of all ability levels helping each child reach his or her full potential. Small class size is a unique feature of the school. 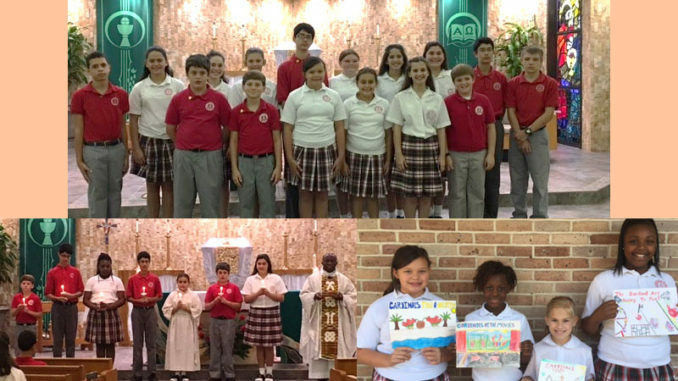 The school supports each student as a member of the Sacred Heart family, helping students to reach their potential as a Christian individual who is committed to faith, service, and justice. Sacred Heart of Jesus offers a two-year-old Early Childhood program, a Montessori pre-K 3, pre-K 4, and kindergarten program, and first through seventh grade elementary classes.